Decision makers seeking comprehensive automation solutions for food, beverage and pharmaceutical packaging applications need look no further than Booth N-4740 at PACK EXPO 2018. Omron will be displaying exciting new technologies including sensing, control, safety, vision, motion and robotics that will help manufacturers upgrade their traceability systems and streamline their flexible production lines. This is essential to compete successfully in an industry where high variety and extensive customization is the norm. With the 2017 acquisition of Microscan, a company known for its high-performance barcode reading, barcode verification, machine vision and data connectivity solutions, Omron now has an unmatched traceability portfolio that covers marking, reading, verification and data transfer. The traceability demo at PACK EXPO will highlight how Omron's technology can minimize the impact of recalls and maximize productivity by providing real-time data on all supplier materials, machinery, operators and processes involved in production. When implemented, these technologies can ensure regulatory compliance, boost quality and safeguard brand reputation. To learn more about Omron's vision and code reading products, click here. One more key theme of Omron's booth will be "factory of the future" solutions – integrated, intelligent and interactive uses of automation technologies that will keep applications future-proof. 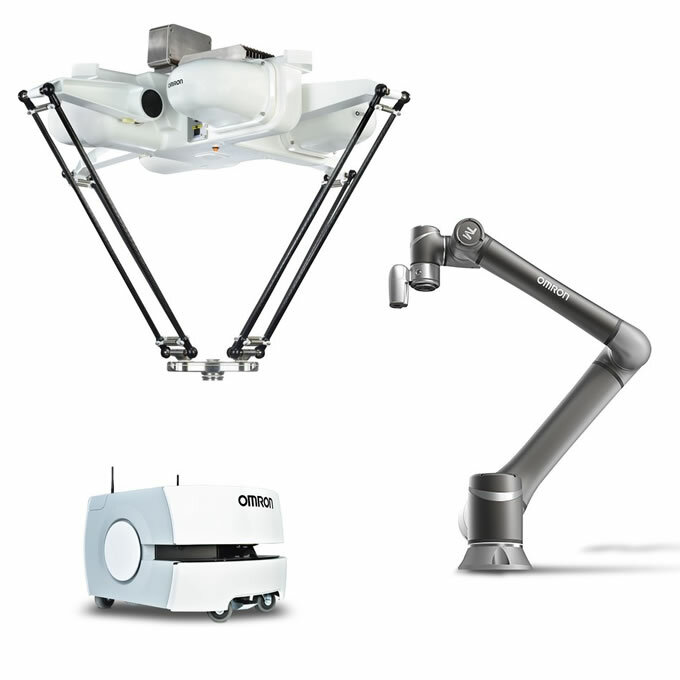 The popular mobile robots from Omron will make an appearance to demonstrate how autonomous, self-navigating vehicles can maximize productivity in fast-paced environments while requiring minimal input from human workers. Omron's specialty lies in providing fully integrated solutions that minimize design time, maximize uptime, ensure speedy deployment and increase the overall ROI. Each PACK EXPO demo is designed to show how Omron technologies work seamlessly together to simultaneously maximize the productivity, quality and safety of any application. Manufacturers interested in implementing a complete solution for flexible production lines and robust traceability systems should visit Booth N-4740 to discuss their options with Omron's experts.